There will be a number of new and revised GT3 racers on the grids during 2015. The new, very good-looking, highly purposeful and quick McLaren 650S GT3S debuted earlier this month at the Gulf 12 hours. It didn’t run to the full FIA Balance of Performance but was competitive if a little down on straight-line speed (The car running 15 kg heavier than the norm). Business has been brisk for Woking’s latest racer, McLaren GT are turning around four new build cars per month plus sensible numbers of upgraded MP 4/12C GT3s to meet demand. New cars are expected to race in Australia, Asia and in the United States in numbers with European customers primarily opting for upgrades to their existing chassis. 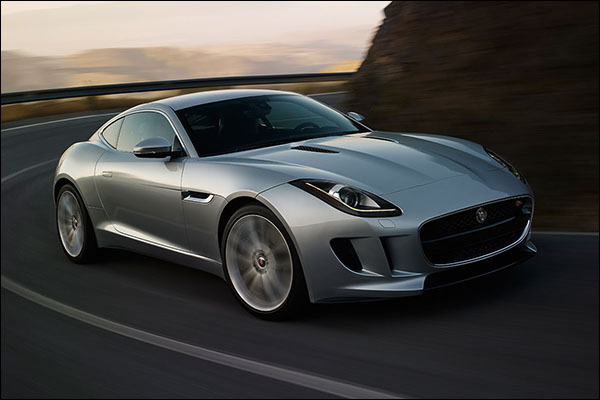 Brand-new cars though are also set to race in the UK and across Europe. 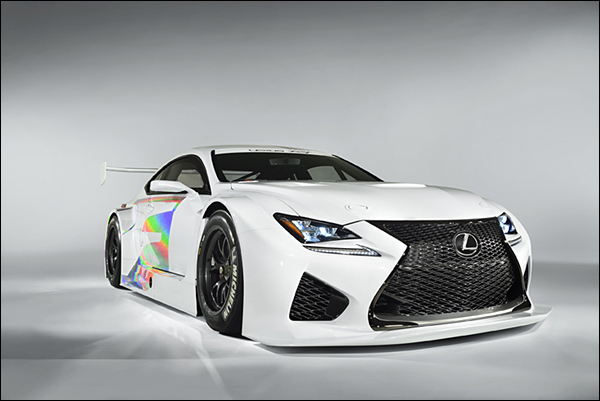 The brand new Lexus RCF GT3 has had a troubled birth. The car reported to be completely off the pace at its recent FIA balance of performance test, The factory opting to withdraw the car to sort the issues. Sources now suggest that the majority of those issues have found solutions and have reported that the car will race in 2015. It still remains to be seen whether the Lexus will be seen racing solely in its home market or, as initially planned, might make its way overseas too. The R8LMS has been a hugely successful customer car for Audi. Audi have already revealed the car will race in 2015 at both the Spa and Nurburgring 24 hours, Presumably as has been the recent practice, in the hands of factory blessed teams. The 2015 version of Porsche’s 911 GT3R is also set to debut this year. Porsche Motorsports opted not to adopt a radical approach with their new car despite having the opportunity to create the very first mid rear engined 911. Instead we are set to see a car with heavily revised aero and numerous other tweaks to attempt to bring the 991 based car back into the leading group of GT3 players. Part of the strategy for the relaunch of the 911 is to take on their perceived major rivals head-on. There’s been no final confirmation yet of a green flag to progress Jaguar’s F-Type GT3 development programme to production. Even if this is forthcoming in the very near future it’s very unlikely indeed that the car will be seen in race trim and competitive form before the end of 2015. 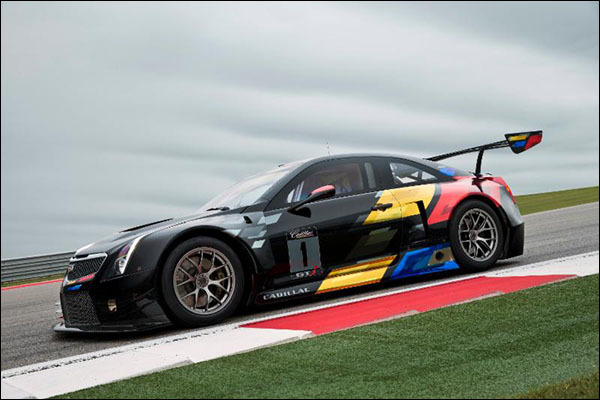 The GT3 version of Corvette’s C7 is set to debut in 2015 after a painful genesis which involved in-depth negotiation with General Motors over whether or not the cars builder, Callaway Competition would be permitted to market the car in Corvette’s North American home market. The decision was that they would not, the German built ’Vettes then must look to the European and potentially Asian market place for sales. 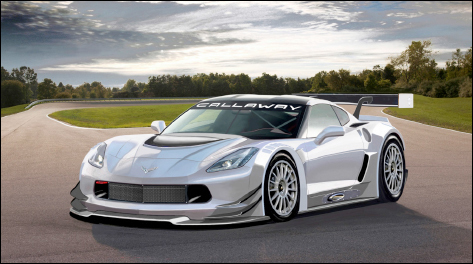 Callaway’s GT3 version of the C6 saw race and championship winning success across Europe and the new C7 is keenly awaited. And here’s the reason that GM were so sensitive about sales of a potentially competitive Corvette in their home market. 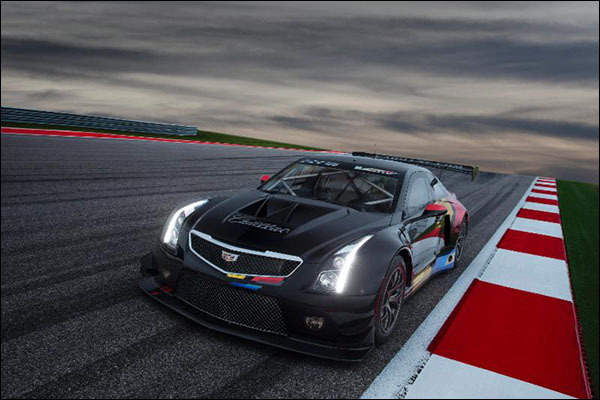 The Twin Turbo 3.6L V-6 engined car is destined for works backed efforts in the Pirelli World Challenge with a run at the Nurburgring 24 hours rumoured also to be on the agenda. 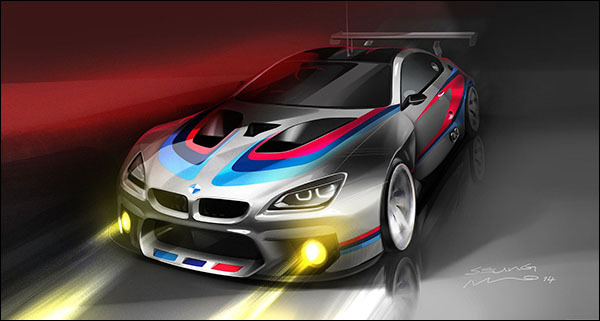 There are no plans for customer cars in 2015 but if the new car proves to be competitive they will surely be in demand. The Lamborghini factory have taken the GT programme back in house and are set to debut the new Huracan in 2015. The program has had inputs from Dallara and from Audi, Lamborghini’s German based owners apparently unhappy with the way in which contractual matters surrounding the GT programme were initially handled. The Huracan GT3 shares engine and drivetrain with the new R8 GT3 and is reportedly set to race both in Europe (in the Blancpain Endurance Series) and potentially in North America (in GTD form) in the Tudor United Sportscar Championship. 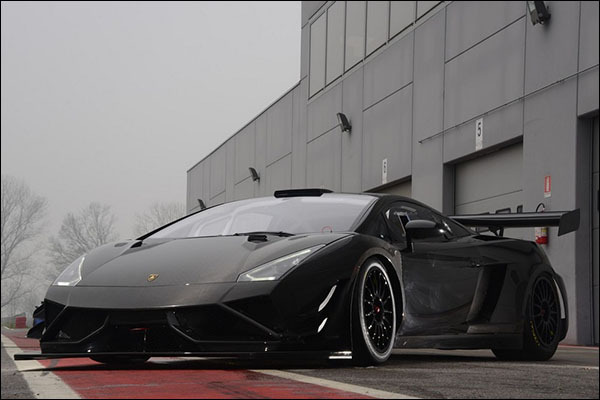 The second Lamborghini set to debut can be regarded as a run out version of the outgoing Gallardo road car. That Gallardo GT3 programme has long been in the hands of Hans Reiter’s Reiter Engineering concern and is set to see the last in a long line of racing versions of the V10 engined supercar. debut in 2015. Dubbed the R-EX ‘Extenso’ the new car features heavily revised rear aero and a wider rear track. A heavily revised version of the NISMO GT-R GT3 will be rolled out in 2015. More power, less weight and a radically improved aero package are all designed to bring the 2015 Godzilla back into ultimate contention. New customers in North America and Europe, with Andretti Motorsports pulling together a programme for the Pirelli World Challenge and a potential all-pro effort in the Blancpain Sprint Series could well see the profile of the Nissan improved dramatically. 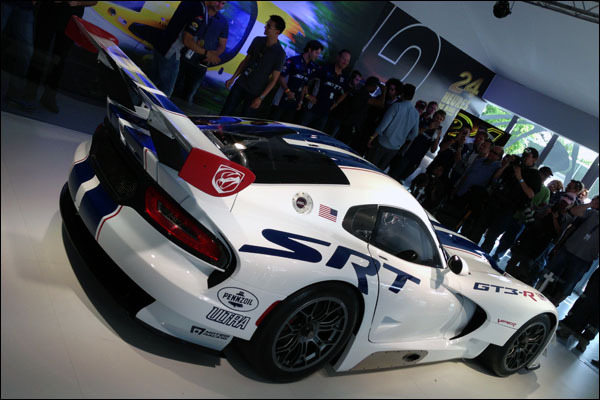 Whilst the GTE version of the Dodge Viper saw its factory programme culled in 2014 there are better prospects for the Riley Technologies built GT3 version of the Viper. The car has found limited sales in North America and Europe, The Tudor United Sportscar championship may well see a two car effort in GTD this year. 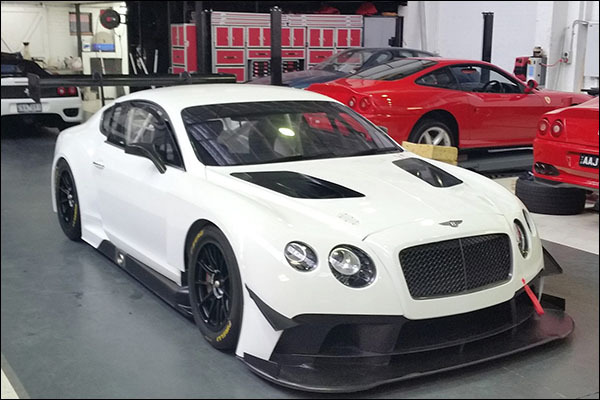 The Continental GT3 debuted last year and won races in its first year of competition both in Europe and North America. Year two now sees customer cars emerging from M-Sport’s Cockermouth factory in numbers with cars already racing in the Middle East and in Asia with additional cars set to debut in 2015 with new customers in Australia and Europe. The successor for Ferrari’s 458, the AMG GT replacement for the Mercedes SLS and the new Z4 GT3 replacing BMW M6 are not expected to be seen, at least in competition, until 2016. 2016 should also see the next major evolution for the Aston Martin Vantage GT3. There looks set to be a sense of déjà vu around the major factory programs in 2015. 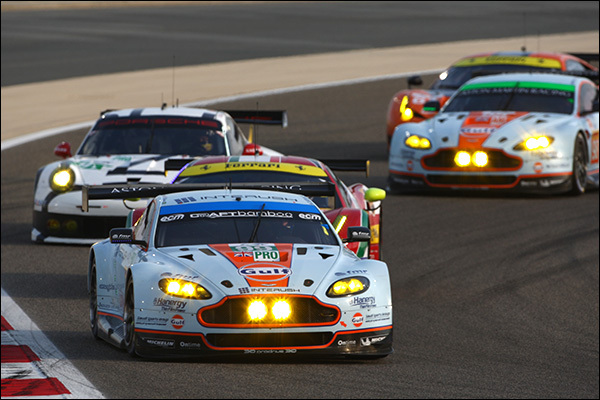 The FIA WEC would again see Ferrari Porsche and Aston Martin cross swords in the factory based programmes. In North America Corvette Racing and Porsche will again race alongside BMW and privately owned Ferrari efforts. Whilst we’ll hear about at least one new major GTE program in 2015, that programme (Ford with their new turbo V6 powered GT) is not set to hit the track until 2016, with an assault on the Le Mans 24 Hours, on the 50th anniversary of Ford’s first overall win, now looking likely be joined by a full season FIA WEC commitment. Beyond that other potential new programmes we’ll have to wait until the next set of GT regulations breaks cover for 2016. Certainly McLaren are amongst the potential takers if the rules suit their package. Jaguar are believed to be examining the potential for a future GTE programme too but this is not believed to be an immediate prospect. Honda’s rumoured GTE program for the new NSX is understood to be dead.